Built in 1907 by Buffalo Dry Dock Co., Buffalo, N,Y, for the Great Lakes Towing Co. of Cleveland, OH. 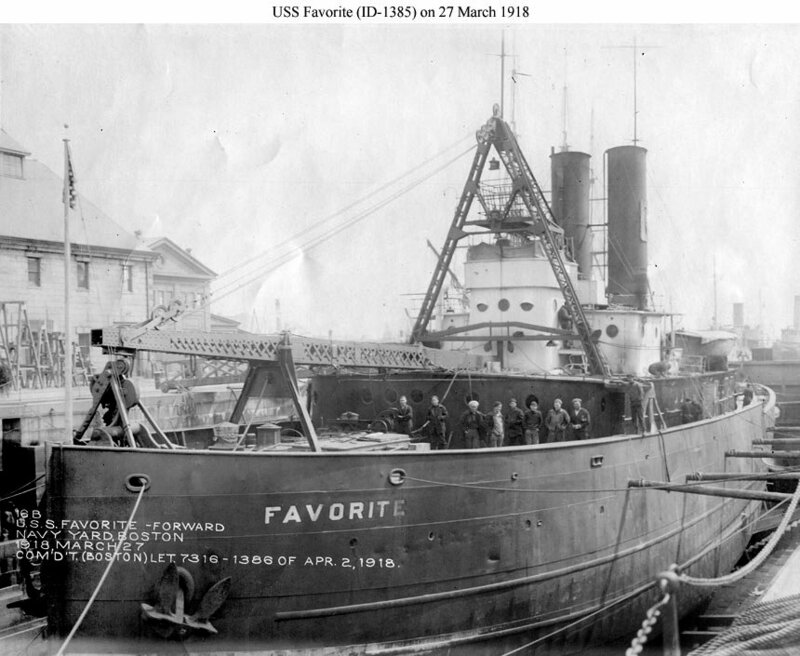 119k SS Favorite moored pierside, probably at Buffalo, N.Y., in 1907 during builder's trials. Note her ice breaking bow. The flag flying over her bridge may be the one bearing her name, as in other early photos. 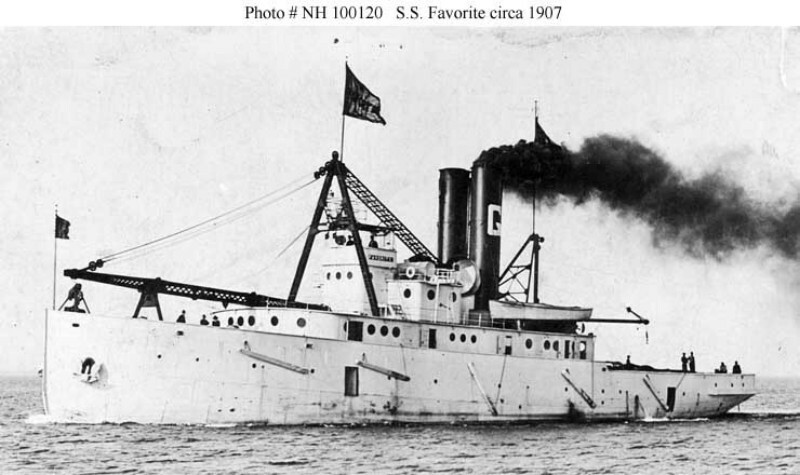 85k SS Favorite underway soon after her completion at Buffalo, New York, in 1907. 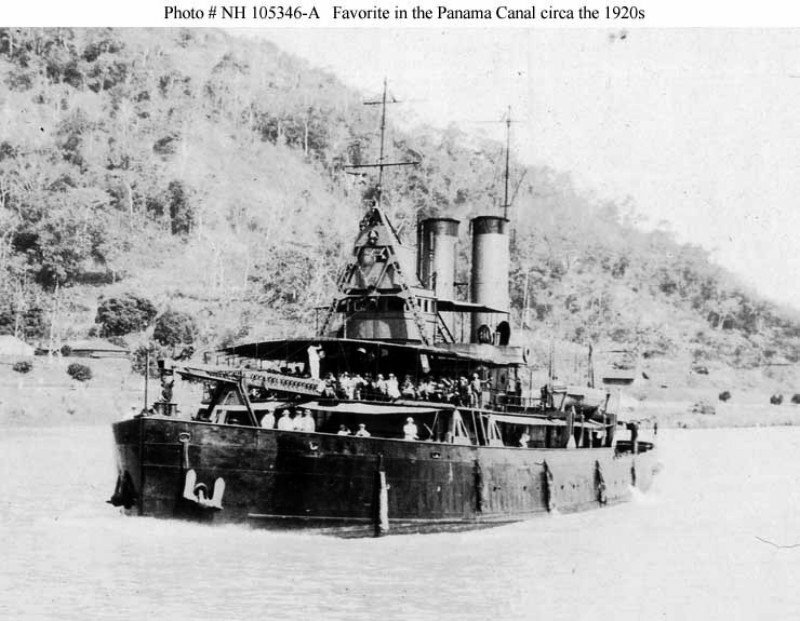 101k SS Favorite underway in the Panama Canal, circa 1920s with a group of tourists on deck. 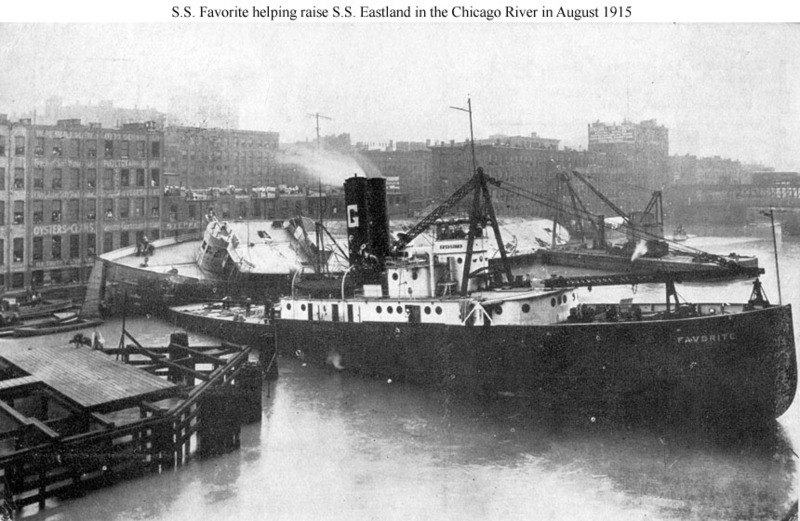 146k SS Eastland being raised with the assistance of SS Favorite in the Chicago River in August 1915. 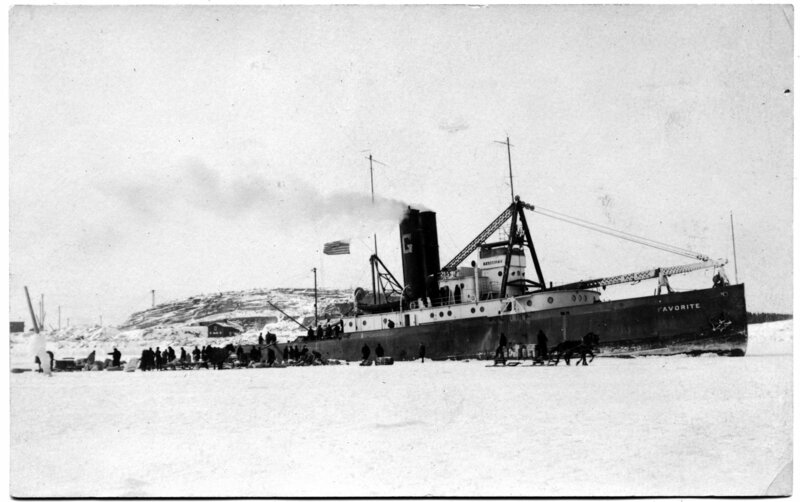 230k SS Favorite in an icy port, with horse-drawn sleds alongside apparently picking up or delivering supplies, circa 1907-1917. Location may be on the Great Lakes, as she wears the "G" smokestack marking of the Great Lakes Towing Company. The original photograph is printed on post card ("AZO") stock. 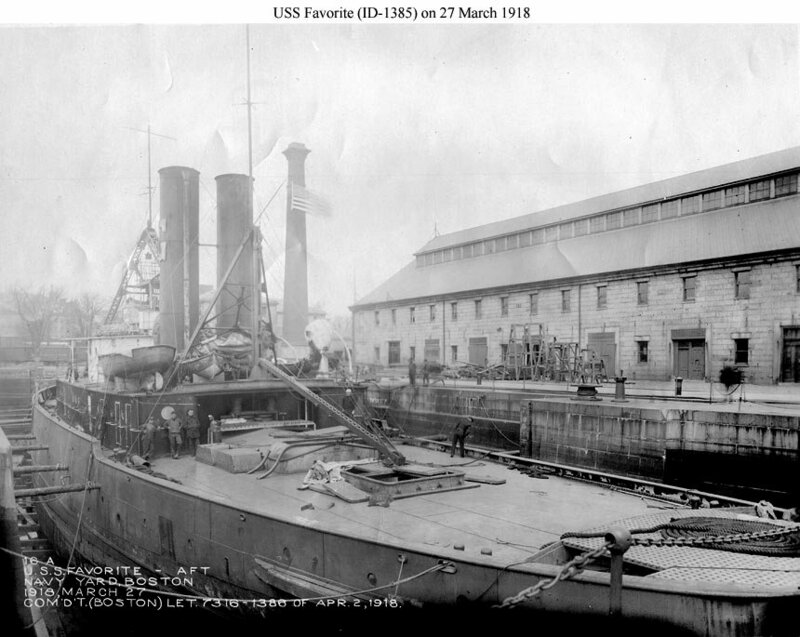 117k USS Favorite at Boston Navy Yard, 27 March 1918, being refitted for distant service in European waters. 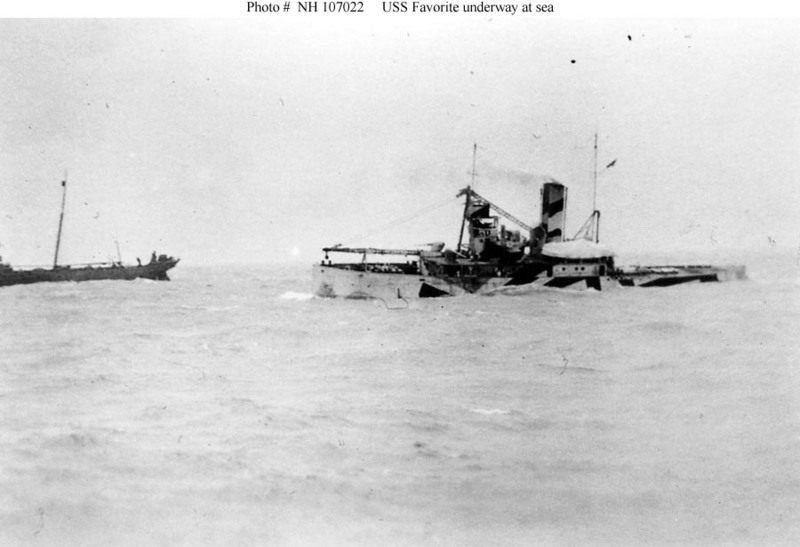 60k USS Favorite underway at sea, possibly while en route to France in mid-1918. She is painted in pattern camouflage. 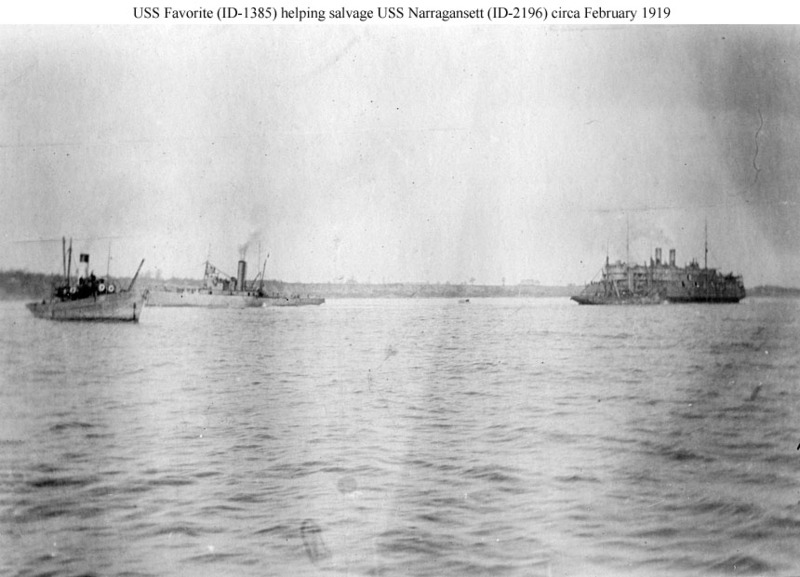 The ship partially visible at left is probably USS Arethusa. 59k The center section of USS YFD-6 is tilted on end while passing through the Panama Canal. The dock is being towed by the Panama Canal Mechanical Division tug Favorite (IX-45). 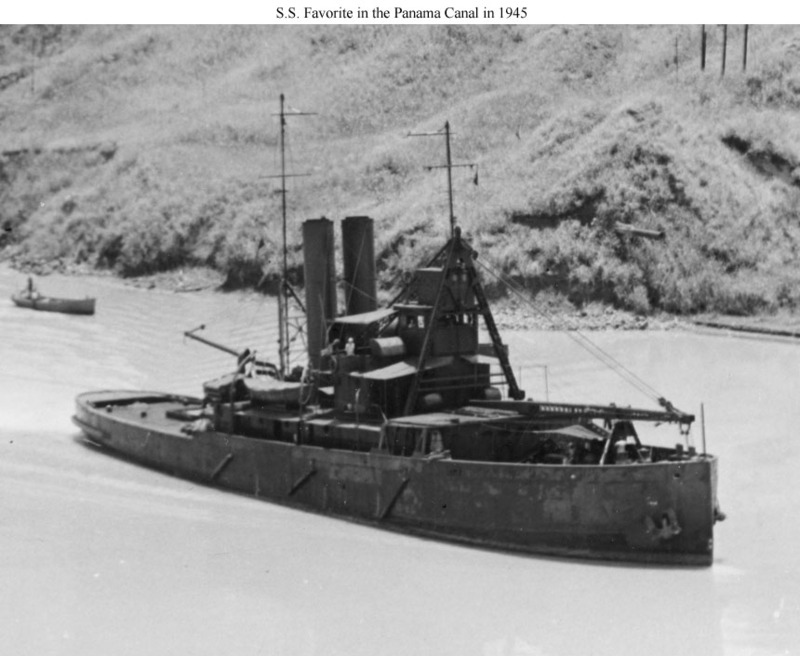 SS Favorite was on loan from the Navy to the Panama Canal Mechanical Division from 1 November 1943 to 13 January 1948. US Navy photo for "All Hands" magazine, issue, December 1946 Joe Radigan MACM USN Ret. 73k SS Favorite (IX-45) towing the center section of the Navy floating dock USS YFD-6 into the Pedro Miguel Locks in the Panama Canal enroute to the Pacific assisted by several Navy tugs. 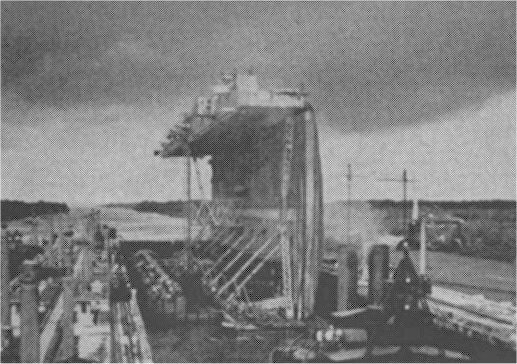 To get the 124-foot wide dock through the 110-foot wide canal locks, Navy SeaBees installed a thousand Navy pontoons on one of its wing walls and then careened it onto that side to pass through the canal. 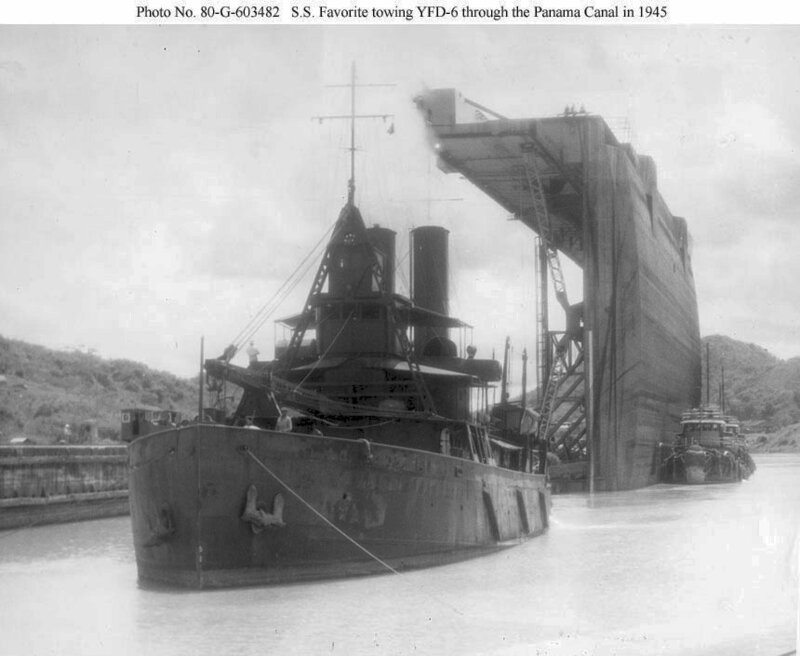 118k SS Favorite in the Panama Canal in 1945 towing the floating dock USS YFD-6, which is out of this view to the left. 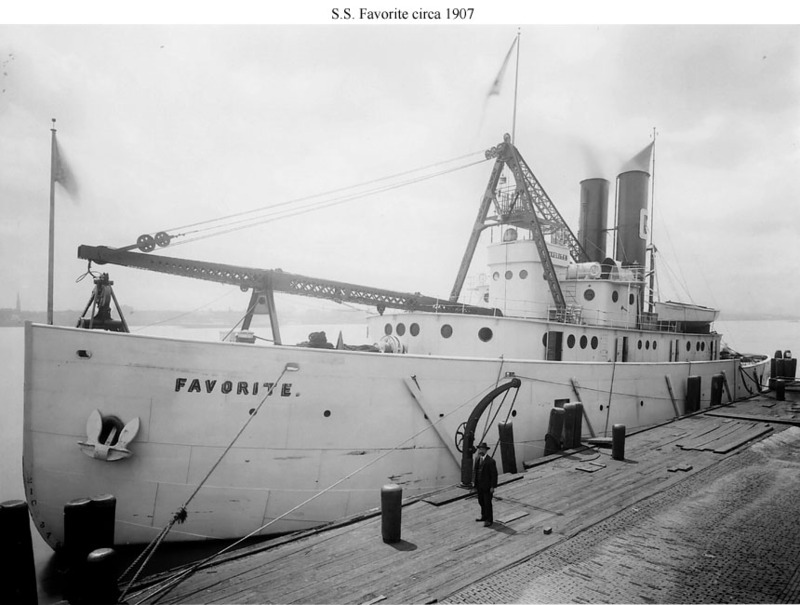 After a couple of years under Navy control, Favorite was once again being operated by the Canal's Mechanical Department. 118k Ex-USS Favorite (IX-45) in Peruvian naval service as BAP Guardian R�os. Called a submarine tender, she was operated by the Callao Port Authority. This official Peruvian navy view was dated 1953.